These general terms and conditions for making available and selling online are concluded on the one hand by "Méthode Bernachon Frederic"
And on the other hand, by any natural or legal person wishing to access and / or subscribe to the website "mypianomasterclass.com" hereinafter called "the user" or "the subscriber". The present conditions of making available and selling are intended to define the access and use of this site, as well as the contractual relations between "mypianomasterclass.com" and "the user". 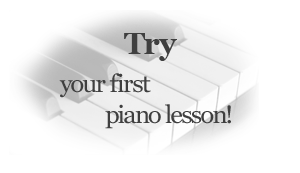 The conditions are applicable to any subscription to the site "mypianomasterclass.com", whether the subscriber is professional or private. The use of a good or a service and its possible acquisition through this site implies an unreserved acceptance by the user of the present general conditions. "mypianomasterclass.com" reserves the right to modify and update, without prior notice, the present Terms and Conditions and all the elements, products or services presented on the site. In this case, the applicable conditions will be those in effect on the date of the order by the user. All of these modifications are binding on Internet users who must consult these general Terms and Conditions during each connection. The products and services offered are those found on the site "mypianomasterclass.com" by "Méthode Bernachon Frederic". The site consists of a free space and a space for a fee. • Pages to discover the method, its author and course program. • The page containing the free courses. • A subscription fee of variouses amounts are offered for each level. • Paid subscription gives access to all courses within the same level according to the list of available courses listed. • For each video, the subscriber can view the entire course. • Each subscriber has a personal space. • "mypianomasterclass.com" is the owner of all the elements that make up the courses outside the partitions that are in the public domain. Access to the paid area is made by subscribing to periodic subscriptions with or without renewval. The price on the site is from ¤8 to ¤150, it is inclusive of VAT in euro not subject to VAT. "mypianomasterclass.com" reserves the right to modify the price at any time, provided however that the price displayed on the day of the order will be the only one applicable to the subscriber. The user must create an account by clicking on "subscribe". They are then asked to complete a registration form and provide their name, e-mail address and a user name and password that will allow them to access the registration area. The username and password are personal and non-transferable. Next, the user is asked to choose the level of course to which he wishes to access and pay for it. Two types of payments are possible: by bank transfer or credit card. All the data provided and the recorded confirmation will be proof of the transaction. Confirmation will be worth signing and acceptance of transactions. "mypianomasterclass.com" will communicate by email confirmation of the registered order. The payment of the subscription is made by Paypal (secure payment) or by tranfert sent to "mypianomasterclass.com" and accompanied by a printed copy of the confirmation of order, all at the following address: 116 avenue From the Arènes de Cimiez, 06000 NICE. The access is activated by the site administrator once the payment has been received and is confirmed to the subscriber by sending an e-mail message to the address communicated by the subscriber in his subscription form. The monthly subscription is automatically renewed at the end of each subscription period. The corresponding sum is debited to the Paypal account of the subscriber. In accordance with the provisions of Article L121-20-2 1 ° of the Consumer Code, the subscriber user expressly acknowledges and accepts the fact of not having a withdrawal period, the provision of the Service starting from the validation of The subscription period before the end of the seven-day period by the said Code. Consequently, no request for cancellation, withdrawal or refund will be accepted for the period subscribed (one month). Payments will be made by credit card or bank transfer; They will be realized through the secure PAYPAL system which uses the Secure Socket Layer (SSL) protocol in such a way that the information transmitted is encrypted by a software and that no third party can become aware of it during transport on the network. The account of the subscriber will be debited at the time of registration of the transaction. The seller, in the process of online sales, is bound only by an obligation of means; The responsibility of "mypianomasterclass.comr" and Méthode Bernachon Frederic can not be engaged for damage resulting from the use of the Internet network such as loss of data, intrusion, virus, rupture of the service, or other involuntary problems. We informe our students that we do not work with the subscribers having permanant residency USA or Canada. In case if the subscriber living in theses countries pay the subscribtion, any responsability could be asked from "Method Bernachon" and his representants. All the elements of the site "mypianomasterclass.com" are and remain the intellectual and exclusive property of Méthode Bernachon Frederic or authors who have ceded the rights to it. No person is allowed to reproduce, exploit, rebroadcast, or use for any reason whatsoever, even partially, any elements of the site, whether software, visual or sound. The subscriber agrees not to download the courses or the recordings of the lessons, musics, applications on his hard disk; He may nevertheless consult them as many times as he wishes on the site during the period of his subscription. Any simple or hypertext link is strictly forbidden without a written agreement with «mypianomasterclass.com». In accordance with the law relating to data processing, files and freedoms of 6 January 1978, personal information relating to users may be processed automatically. With regard to personal information that users are required to disclose, they have the right to access, modify, rectify and / or delete data in accordance with the Law on the Protection of Individuals with regard to Personal data n ° 2004-801 of 6 August 2004. "mypianomasterclass.com" reserves the right to collect information about users, including by using cookies, and, if so desired, to transmit the collected information to business partners. Users may object to the disclosure of their contact information by posting it to "mypianomasterclass.com". "mypianomasterclass.com" will archive subscription forms, orders and invoices on a reliable and lasting medium constituting a faithful copy in accordance with the provisions of article 1348 of the Civil Code. The computerized registers of "mypianomasterclass.com" will be considered by the parties as proof of communications, orders, payments and transactions between the parties. We explicitely informe our subscribers that we do not operate on the territory of USA and Canada, any susbsription coming from these territories will be ended any time without warning. The present conditions of sale on line are subject to the French law. The site "mypianomasterclass.com" and the present legal mentions are subject to French and Europeeen Union law. In the event of a dispute, competence is attributed to the competent courts of Nice, France, notwithstanding plurality of defendants or call in guarantee.